Check out Facebook for a live sandwich count! If you would like to reserve and pay for your order ahead of time, so it is guaranteed on Thursday, give us a call Mon-Wed 3pm-6pm or order online anytime! * Link below. Pre-orders are not required...but since we do tend to sell out on Thursdays, this is an easy way to lock-in your order! *PLEASE NOTE: All Online orders must be placed at least a day prior to pick-up. Same-day pick-up is not available. The cut-off is midnight the previous day. (Ex. Orders for Thursday must be placed by Wednesday at midnight in order to be received). If you miss the cut-off, we do make extras to be sold on a first come first served basis. Simply stop in or check Facebook during business hours to see what's available for walk-in's…Any extra sandwiches we have available for walk-in's are pre-made with all standard ingredients on them. Specials must be pre-ordered. **Availability is limited to how many we can make each week! We are a small, family-owned business where everything is made from scratch. DAYS of baking, preparation, and hard work goes into each item we sell. Enjoy! PRE-ORDERS: Payment required at the time of order. Debit/Credit Only. No-Shows are non-refundable. WHERE ELSE CAN YOU GET BELGIAN VILLAGE PRODUCTS? Here is a complete list of Belgian Village retailers. Remember, if they're not listed here, it's not Belgian Village. 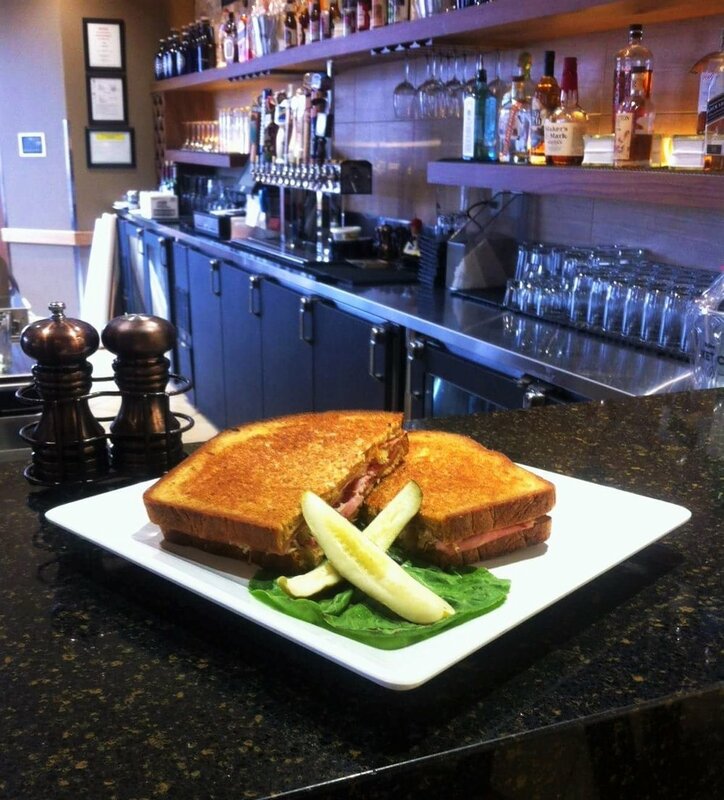 Sit down and enjoy grilled Belgian Village signature sandwiches, or order them to go. ON THE MENU: VandeRueben® on Rye, VandeRueben® on Raisin, VandeRaisin®. Hy-Vee on the Avenue has chilled sandwiches available 24 hours a day, 7 days a week. Menu and Pricing may vary by retail location. Grilling Preparation may vary by Hot Spot location. Please contact them directly with any questions. WHAT IS A HOT SPOT/COLD SPOT? Hot Spot - An exclusive retail location supplied by Belgian Village, where you can get our signature sandwiches hot, grilled, and ready to eat! Cold Spot - An exclusive retail location supplied by Belgian Village, where you can get our signature sandwiches chilled, for you to grill at home. *Belgian Village supplies each retailer with fully assembled sandwiches, all of which are pre-made at the Belgian Village. So whether you buy direct from Belgian Village or from one of our retailers, Belgian Village is the only one who assembles these sandwiches. This form is not for order placement. To place an order or for order inquiries, see information at the top of the page regarding hours of operation and order info.